With the meteoric rise in prices of all air cooled Porsche's, it is a valid question to ask whether there are any bargain Porsche's left in the wild? The 996 generation of 911's can be found for pennies on the dollar compared to it's 993 predecessor. IMS bearing failure seems to be the big boogie man in the Porsche used car world. It should be one of the first things checked when shopping for any early water cooled 911 or Boxster. 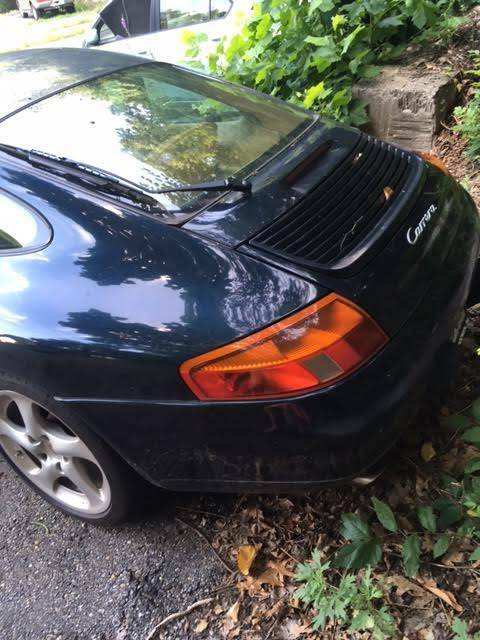 Find this 1999 Porsche 911 for sale in Naugatuck, CT for $7,500 via craigslist. We have a attractive navy blue over saddle Porsche 911 with proper 6 speed manual transmission. The car has just over 100,000 miles and has had a lot of recent maintenance including: oil change, spark plugs, water pump, and drive belt. The clean car fax shows no accidents and nineteen service records with the most recent coming at 98,000 miles. What's the catch you might be asking? The seller notes the engine has a cracked head and smokes a bit. The car still runs and drives as is, but the owner does not have the time to fix the problem. Could this be a a straight forward fix or even a misdiagnosis? Is it worth a $7500 roll of the dice? It never a good sign when weeds start growing up around a parked car meaning it has not likely moved in a long period of time. I don't think it anyone would have balked at a price tag of 10k if the seller took some decent photos in a more scenic setting. 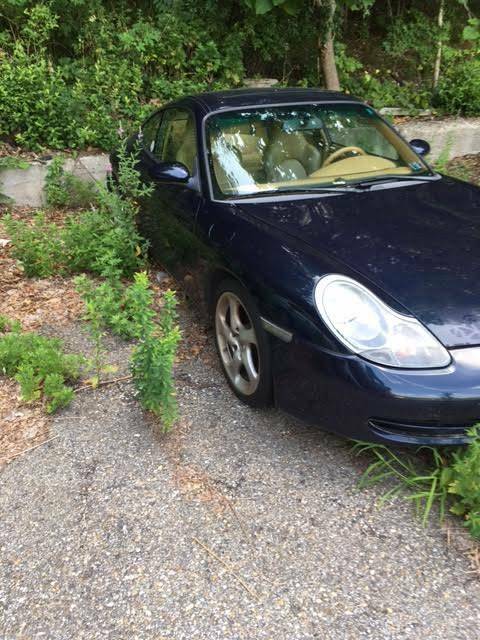 Pro tip: do not picture your high end Porsche for sale looking like it is sitting in the middle of a geranium. I like it and assume that it needs the IMS bearing fix and usually some other work as a result. These engines go for $ 15K to $ 25K for a rebuild depending on the damage which is usually based on how long it was driven after the IMS problem surfaced? Much cheaper to fix before. I wonder if a Subaru motor would fit in the back? I'm seeing prices for an IMS upgrade in the $1500 range, installed. 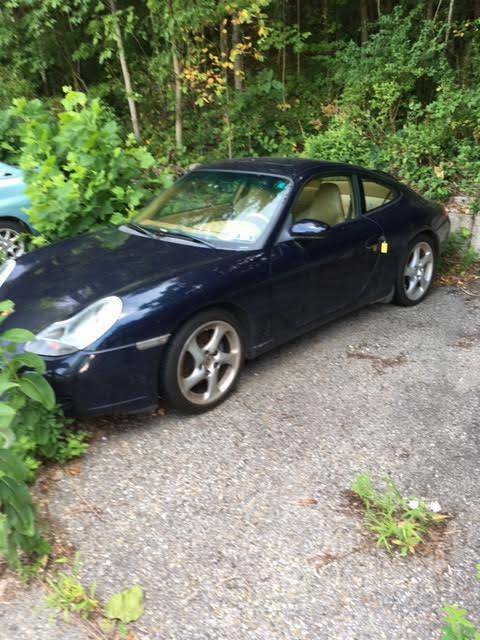 If the price delta between a 993 and 996 is more than that, which I'm pretty sure it is, then why isn't it as simple as: find an otherwise good 996, and if the IMS has been replace see if the mechanic appears knowledgeable, or if not go get it done. Why is there more to it than that? Can't just be the headlights. Just add some stop leak and drive it while you save up for an LS1. Jeez, guy's, what's with all the apostrophe's on the plural's? The other listing's don't have thi's problem--what's going on here? Just take out the grill on the engine cover and you have one awesome leaf muncher/mulcher! The eccoids will thank you for being so environmentally astute. And now it's gone. Would love to see a follow up if any reader here bought it. $7500 no go. At least $8k for an engine rebuild, another $2-3k for IMS if you don't wrench. 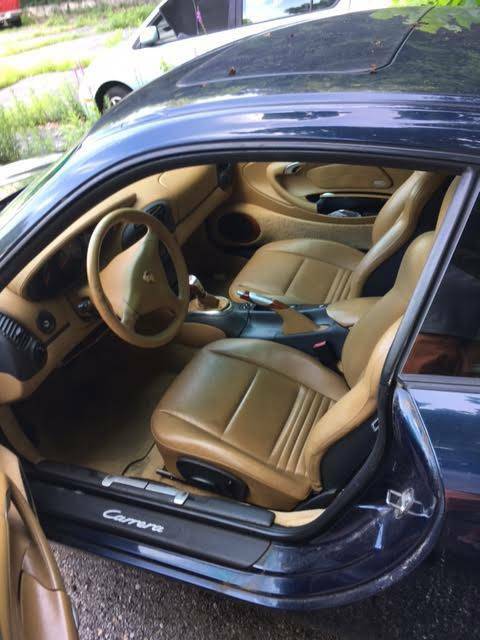 There are plenty of 996's in beautiful condition for $18k. Get one of those instead. I've come around to these machines and think they're the best performance bargain ever. The headlights have even grown on me. then there was the post here from a few weeks ago asking "what presses the same buttons as a 911?" and iirc there really wasn't anything - 996 seems the right balance of modern enough and depreciated enough, plus a depreciation kicker - how are they in the snow?